You’re getting Emails you don’t want. You’ve tried to contact the sender to let him/her know that you’re not interested in receiving those Emails. But, your efforts to make those forwarded Emails stop have failed. Drastic times call for drastic measures, and it looks like you have no choice but to block that person. You tried to play nice, but you can’t have your inbox filling with unnecessary Emails, you have enough legit Emails to deal with, right? For reasons, you can’t explain, you’re getting Emails from someone you don’t want to receive Emails from. You’ve tried everything you can think of to make those annoying Emails stop, but nothing seems to work. If you have no choice but to block those Emails, know that the steps are beginner-friendly. To get started, open your Gmail account where you’re getting those unwanted Emails. Locate the Email from the unwanted sender and open it. At the same level as the sender’s Email address, you should see three vertical dots. Click on it and right below the delete this message option, you’ll see the option to block that person. Once you’ve selected the sender’s name, you can say goodbye to having to deal with Emails from that person ever again. Open Gmail account and click on the gear icon. It will be on the top right of your display. Select “Settings” > “Filters and Blocked Addresses“. Select the “Create a new filter” link. Fill in the criteria of the messages you wish to block. You can block by email address using the “From” field. 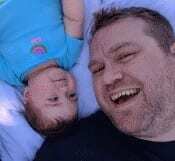 Select “Create filter with this search“. Check the “Delete it” option. Check the “Also apply filter to matching conversations” if you would like to apply the block to existing emails. Select “Create filter” and you’re done. To unblock some on Gmail, open Gmail account and click on the gear icon. It will be on the top right of your display. Click on “Settings” > “Filters” and “Blocked Addresses” > The listed Email addresses are blocked. Messages from these addresses will appear in Spam and click on the Email address you want to unblock. To the right of the blocked Email, you’ll see the unblock option. Just click on it, and Gmail will ask you if you are sure that you want to unblock that sender. Click “OK“, and you will now start getting Email from that person again. Blocking an Email on your Android device is just as easy. One thing to keep in mind is that if you’re using Inbox, you’re not going to see the Block option when you click on the dots. This is an option that will only appear on the Gmail App. 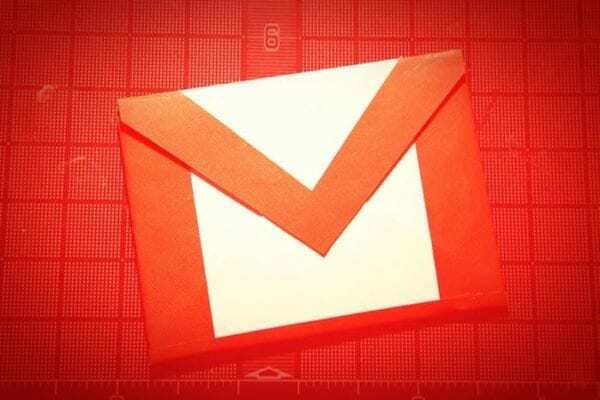 To block any Email on Gmail for Android, open the Email from the unwanted sender. Tap on the three vertical dots that are on the same row as the sender’s name. The last option down will be the “Block sender’s name” option. 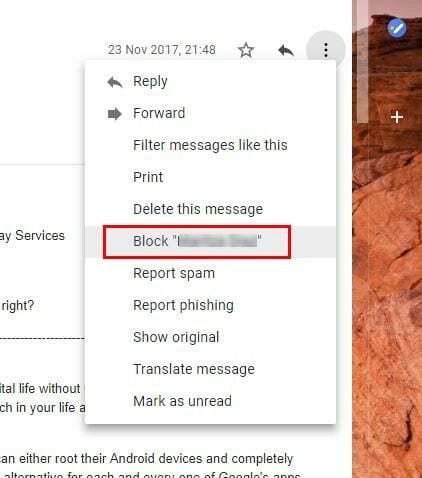 After blocking someone, Gmail will show you a message saying that you’ve just blocked X person and that all Emails from that person will be marked as Spam from now on. If you decide to forgive the sender and would like to start receiving Email from this person again, tap on the dots again and choose to unblock them. 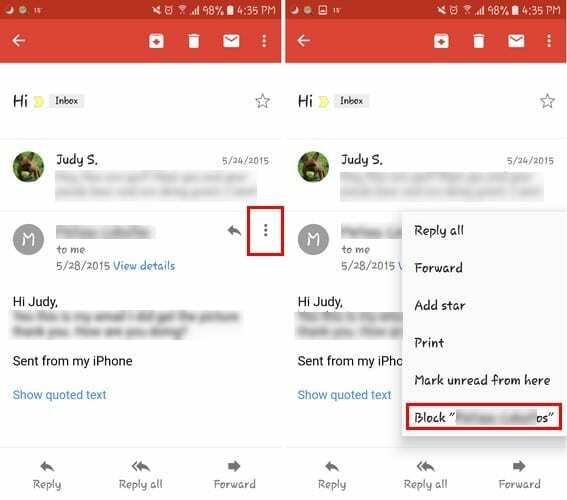 Whether you want to block or unblock someone on Gmail, the steps are mind-numbly easy. You can block and unblock someone as many times as you want and the sender will never suspect that their Emails are blocked.